These are all angel guided and channeled healing meditations with the Angels and Archangels to assist in uplifting to our natural state of being. The angels are not limited by time and space, can be with everyone simultaneously and these can be repeated as often as needed. These are offered free, but if you feel guided to leave a love donation, all is appreciated with gratitude and love. Enjoy ! Every healing meditation with the angels requires you to breathe first because breath helps you center and connects you to the higher realms- additionally it helps you to shift your awareness on Heaven and shush the ego mind. Set an intention if you like, such as “I wish to seek Higher Understanding” or ‘I wish to spend time with the angels” or “I am seeking wisdom from the Angels” or ” I wish to seek healing for (______)” . You are never separate from God, Jesus the Holy Spirit , and the angels who are always with you and want to help you. You need only ask and intend to be with the angels. God is always with you and will never leave you. He does not want you to feel separate, for that would be in err. He is always here for you . Try these meditations day and night if you like , or anytime you feel you would like to connect with the angels. Creator of every spirit, have mercy on us. the angels desire to gaze, have mercy on us. holy angels, have mercy on us. Christ Jesus, beatitude of the Angels, hear us, O Lord. Christ Jesus, glory of the heavenly spirits, hear us, O Lord. Christ Jesus, splendor of the celestial armies have mercy on us , O Lord God our Father, in your loving providence you send your holy angels to watch over us. Sit in a comfortable relaxed position, and just breathe deeply, allowing tension to leave your body or mind. Every muscle relaxing. If you feel tension in any area of your body, simply send breath to it and give it permission to “let go”. I was asking this morning about a message for or about Inner Peace- The title and the message are all channeled through The Grace of God and the Angels. The angels said ” this was not just (only)a meditation…” As always, sit in a comfortable and relaxed position and take a few nice deep relaxing breaths. Greetings , I am St. Michael, the Archangel. I am here with a host of Heavenly Angels and Archangels who are here to help you feel the inner peace inside of you. This peace is God-given and is not like any other peace externally. Feel this peace now as St.Michael cuts the cords from the illusion of fear and disharmony , while St. Raphael cleanses the area where these cords were once at. Feel this peace shift to a higher frequency of peace. This is your natural state of being and is recognized by the angels when we see your heart. Know you are blessed dear beloved earth angel, dear disciple of the Lord, dear lightworker , for it matters not what you call yourself, you are a beloved child of the Most High. Inner peace is knowing God , The Holy Spirit, and Jesus, resides in your heart. Envelop yourself in this peace now, by focusing on the light inside of you. inside your heart center. Feel blessed and know that God blesses you with his Love , the Highest blessing possible is upon you and your loved ones. Know that the inner sanctuary is behind closed doors, where no one can enter. Rest in this peace now and always and let the Light of God , who resides in you now, shift your thinking, shift your awareness, shift your enlightenment journey, shift the awareness in his Gospels, in his Truth, in His Likeness . Be one with the Lord, allow your heart to be enveloped by his , now and forever. Be at peace dear one, and know you are blessed again and again. Feel this shift now as the angels lift any discord that was previously felt, for nothing is hidden, and allow this High Vibrational Light to open your heart. Know that the Pure Light of God resides within every cell. Repeat this every morning if you wish , know that God Himself will help you shift your awareness to His Truth, which is always Loving. Cleanse and remove any guilt , any shame, any vibration that is not of God’s Purest Love now. Allow this to be so and it is done ! For now you are in a different state of being than before. Know this is possible because of God’s Hands, His abundant ways and His Son, Jesus Christ, who loves you and is with you through this meditation. Give thanks to God for any healing and know this is His Will. For everyone to choose Him first and help others when needed. Love each other and yourself for there is nothing hidden. Let only Love remain. Go then, child of God , Child of the most High , believe in yourself, believe in Your Heavenly Father , believe in His Divine Son and know you too, have abundant hands, an open heart, a loving, sharing, compassionate heart that is God Given to each one of you. For each one of you are blessed by the Most High. Feel the difference now and always and all eternity. For God’s love is eternal , and wants you to have peace on Earth, inner peace , and love always. In Jesus Name. Amen and So it is. Begin with prayer, Heavenly Father, thank you for your abundant nature in all ways and for supplying for all my physical and spiritual needs. Thank you for every blessing, favor and helping me to understand that you are in charge of all ways . In your abundance help me to grow abundantly in all ways , in understand, wisdom, fruit, love, joy and peace. Thank you for using me as an instrument for others in this area. First focus on the area of abundance you would like to increase or heal. This area of abundance is not lacking, for that would be contradictory to this exercise. Feel abundant in all areas and think of what you would like more of, that could be energy , time, love, patience, money to supply for all of yours and your family’s needs, peace, understanding, wisdom. You are fruitful dear one. Just take a moment to invite in the Angels Of Abundance, and the peaceful protection angels and St. Michael, to help you cleanse from any worry that may be blocking your abundance. For no abundance is withheld! Sit in a comfortable and relaxed position, take a few relaxing breaths, and ask St. Michael to be with you to clear any fears of lack or selfishness, greed , covetousness or envy . For those are errs in thinking and hindering your abundance, robbing you of energy and freedom on the Spirit. The angels of abundance will be with you now, a great multitude of angels now surrounds you and helps you to lift from anything that was hindering your abundance. Be willing to forgive anyone who has argued with you over money, quarreled, or even sued if needed. Just let that tension leave you along with any bitterness. Let go of any criticism or anger, or worries (if any) you have around paying taxes, for even that will be supplied. If someone is unknowingly taking up your time, you can choose to set clear boundaries, there is nothing wrong with setting healthy limits! Ask God to help you clear your schedule if you want to spend more time with family. Enjoy the balance and feel how that would feel to you. Know that God is your source, whether time, energy , abundance , love, joy or peace, and that you are not lacking in this area. Your energy body may be cleansed for two days if needed, if this is your first time healing an old wound. The angels can work with you even after this exercise is complete if needed. If this is money, imagine what it would feel like to pay all of your bills , on time and still have money left for family needs. If this is time, allow yourself to visualize what more time would bring. If this is health, St. Raphael will help to heal any areas of tension you maybe feeling, or any areas or concerns you have regarding your health. Remember that with God , all things are possible- especially healing ! If this is love, feel surrounded in love now , feel the beauty already around you and to focus on God’s abundance, think of the stars in the sky, or the grains of sand on a beach, or all of the hairs on your head ( if you have hair), or all of the leaves on a tree. In fact if you wanted to create more of anything , ask the angels to help you shift and balance , and help by affirming ” I am abundant in all ways ” “God is abundant and is supplying for all of my spiritual and physical needs” or ” I am one with abundance.” or ‘ I am one with peace” or “I am healthy, energized, and revitalized now and forever” Do this meditation often and remember to help by feeling what that would feel like if you had abundance now. The other thing that is helpful is to be ready to receive; listen, trust and follow any guidance you receive toward making your abundance and to feel grateful for everything you have now even if you are grateful for the same things everyday. For you have created an abundance of something already and I assure you – you are abundantly blessed now and forever. First, thank God for all things, especially the time you were able to spend with this Loved One and ask to be surrounded with Jesus, Mother Mary, the Angel Realm , thank Jesus for Guiding you and Mother Mary is by his side. Whisper the words”Thank you for your help”. “I am here…I love you…, I am with you and I want you to stay with me for a moment. Will you spend some time with me now? Your loved one says “yes” and they are now present with you and the angels. They wish you peace and love. You can feel their love , smell their perfume or cologne, “Sit right next to me beloved” , you say. “Sit with me and let’s remember all the things we used to do” . “Remember the time when we sat down and had coffee? Or when we went shopping ? Or when we spent a lifetime of happiness?” Did you go to church together? Did you want to? Try to only remember the love and allow any emotions you feel to come to surface and allow the smile to grow bigger as you remember walking together, maybe even holding hands , or eating out , or eating pizza and cutting up . Listen to the sounds of your own voice as you say, “I love you you and I miss you and I want to see you again, but I have to stay here now and I will see you soon. Dear soul mate, dear loved one , will I see you again? Will you come visit me? Will you send me prayers from Heaven while I sleep tonight? Will you send me peaceful harmony when I wake? Will you tell my family in Heaven I will remember them too? I will love all of you while I am here on Earth. Just rest with the angels until you feel guided to come be with me in spirit. You are always welcome here if you want to come visit but do not be alarmed if God wants you to be with Him and help him . I will understand. Pray with me and help me heal from having to say goodbye to you , dear friend, dear mom, dear soul mate, dear son or daughter dear (_______). Thank you for visiting me. I will keep the love in my heart and know I will pray for you too. I love you . I will miss you , but I will think of you often and in your memory I will offer prayers for the sick to receive health of body or that the arms of the angels heal them also, or I will ask for the angels to help the people in the infirmaries or hospitals to heal with miracles…..
Just breathe now and try to relax knowing that your loved one, sends their love and they are not far, in fact they are right above you in Heaven’s embrace and they are holding you through the angel realm . They remember you when you were small, they remember you when you were a child, they remember you when you were 16 , they remember you when you were sick and you were helped with angels then. They remember your marriage or your graduation ceremony, they will remember the good times you shared, if siblings, they remember riding bikes together, they remember the intimate conversations, they remember the Christmas’ and how you loved to buy gifts and so did they. They will always remember the love and so will you. . Let the angels help you now , feel their love now as they help you heal the past memories of any mishaps or misbeliefs or anxieties of Heaven. “Heaven is really peaceful” they say. They remembered your promise of love (if married or a soul mate relationship) and ask you to not be afraid. For many angels are willing to help you heal and will offer prayer to the Lord for you to receive benefits from the government (if in the US) and also if you want to receive a wealthy income. or if you want to discover who you are . 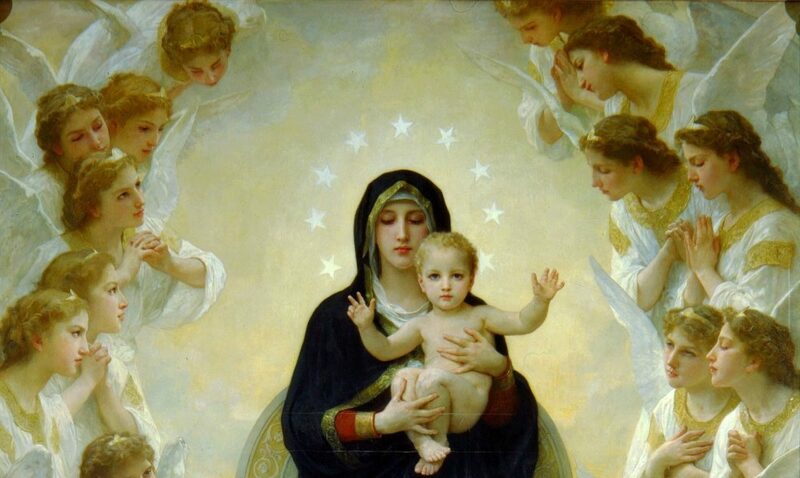 For you are a Holy child of God and you are loved deeply in this universe and in Heaven and on Earth. The earth needs you dear sweet Child of God. Feel the angels now as your loved ones go back to Heaven’s paradise and the angels now assist you in remembering they were with you the whole time and you need only ask if you want to remember your loved one again. Your loved ones are with you now , even in this state of being, but are different because they are now with the angel realm, where you came from before you came here. Allow the angel to help you uplift and feel better. They will help you heal from this and many past lifetimes where it was hard to say goodbye. You are loved dear blessed child of God. Jesus will help you in your life path and so will Archangel St. Michael and St. Raphael. Dont worry if you scolded them when they were young, you are forgiven. Dont worry if you had a spat ( or two!) they are helping you overcome your fears and anxieties for that is what started those arguments. You will be blessed beyond measure for your good deeds and only focus on that now. Release any guilt from the past now to St. Michael and St. Raphael who are here to help you release and feel better. Release any heavy emotions of guilt or fear and let the past refresh you with its love only . Keep only the love as you go forward. You are blessed and this could be a lesson for both of you. God loves you unconditionally and is here to help you overcome anything you ask for in prayer with a sincere heart. For when two or more are gathered in Jesus name, there he is among you! Don’t worry if you didn’t wish them a good afterlife if they made you angry, I assure you, they are in Heaven’s peace and will help you overcome anything you ask for in prayer, they will help you pray. St. Raphael and the healing angels will help you heal from grief, so will Archangel Azrael, Archangel Haniel will help you sleep at night and so will St. Michael the Archangel who helps lend courage when needed but also is wonderful at healing those who mourn. Archangel Raziel, Archangel Chamuel and the soul mate angels, for many of the reasons that it is hard to let go is because you have incarnated with your soul mate family. It is hard to say good bye , even for a little while with you soul mate family because you have incarnated several lifetimes together and know each other so well, that it is hard to learn to live life after they have passed…also if you need help with finances, ask God in sincerity for His help and He will help you, and so will Jesus. I assure you , you are being guided to read this. If you have a loved one who has passed, many have asked for you to be guided to use this meditation to help you connect again. They wanted to say “I love you and I will see you again”. First , take a moment to relax and remember you are loved by the Most High very much. Ask the angels to surround you now and just wait until you feel their love and you will feel an uplifting as many are coming in to help. Now imagine a waterfall of Light coming form Heaven and coming in through the top of your head and filling your heart. over flowing through every cell of your body. This is done through the Father’s Love and He is wanting you to feel the heavenly waterfall of healing light from the angels. Just relax here and breathe deeply as it continues to pour from Heaven’s angel Realm. At the top of the waterfall of light, Is Jesus and he comes closer to you and sits with you. He tells you your loved one is safe and he is always here for you. You can ask him to come visit you anytime you wish by saying : “Dear Jesus, will you spend time with me ?” He is always accompanied by lots of angels so you need not be worried . You can have a conversation with Jesus or just enjoy the silence as the Lord knows your heart and you do not have to say a thing . Just feel His presence and know He is right by your side and he invites you to come visit anytime you wish , anytime you need a helping hand, anytime you want to feel his embrace. He will be there for your children, or mother or father or family. Thank Him for coming and tell him you love him and that you would like to have him send a message to your loved one. Let them know that (__enter personal message_) and that they are loved and you will see them soon. When God and Jesus call you home and that you will remember all of the good times and fun times and memories. Thank Him for being there at your wedding, for being there at (___________) . Spend as much time as you wish with the Lord and when you are ready, you can thank The Most High for visiting you in your heart. Know that He is always with you and will never leave you. He will watch over you always and let you know when He is helping you. and loves you right now and always.The angels stay with you and wrap their wings around you and will offer to stay as long as you wish. Even then, you will still have guardian angels around you always as these are sent by the Father’s love to help you and protect you and pray with you. You can ask for angels as often as you wish to surround you in their love. You can repeat this mediation as often as you like. 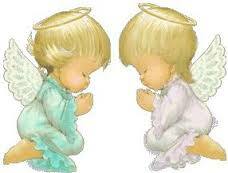 They are with your loved ones now and are helping them in Heaven learn in a Heavenly school for Guardian angels. Your loved ones will learn how to be a Heavenly Guide and will remain there until you come home, when they come to visit, they will be an angel. They will always love you and pray for you and with you. For that is the Father’s will. They will sing in the choirs of Heaven for God and Jesus, as they are the Most High. They will sing with you in church, and at home when you praise the Lord. They love you and are not that far away. May God Bless you.